SELLER JUST DROPPED ANOTHER $5,000 MORE! SCHEDULE FOR YOUR CLIENT TO SEE IT TODAY!5BEDS, 3BATHS. FRESH PAINT INTERIOR & EXTERIOR* STONE TRIMMED EXTERIOR * SOARING CEILINGS * CHISEL EDGE TRAVERTINE TILE SET IN A VERSAILLE PATTERN * BEAUTIFUL ISLAND KITCHEN REMODEL * CUSTOM CABINETS * STAINLESS STEEL APPLIANCES * GAS RANGE * GRANITE COUNTERS * TILE BACKSPLASH * BUILT-IN ENTERTAINMENT CENTER * EXERCISE ROOM, OFFICE OR BEDROOM * LUXURIOUS MASTER BATH REMODEL * TRAVERTINE STONE SHOWER SURROUND AND TUB SKIRT *COVERED PATIO * BEAUTIFUL BACKYARD * CHARMING SOLID BUILT GAZEBO * FIRE PIT * EXTENDED STAMPED CONCRETE PATIO * RV GATE & SLAB * BEAUTIFULLY LANDSCAPED * THIS ONE IS NICE. Directions: 67TH AVE & BELL* WEST TO 69TH AVE * NORTHWEST TO CAMPO BELLO * SOUTHWEST TO HOME. Partial heating and cooling update in 2017. Partial bathroom update in 2017. Approximate size: 10400.00 sq. ft. Please, send me more information on this property: MLS# 5889025 – $392,000 – 7026 W Campo Bello Drive, Glendale, AZ 85308. 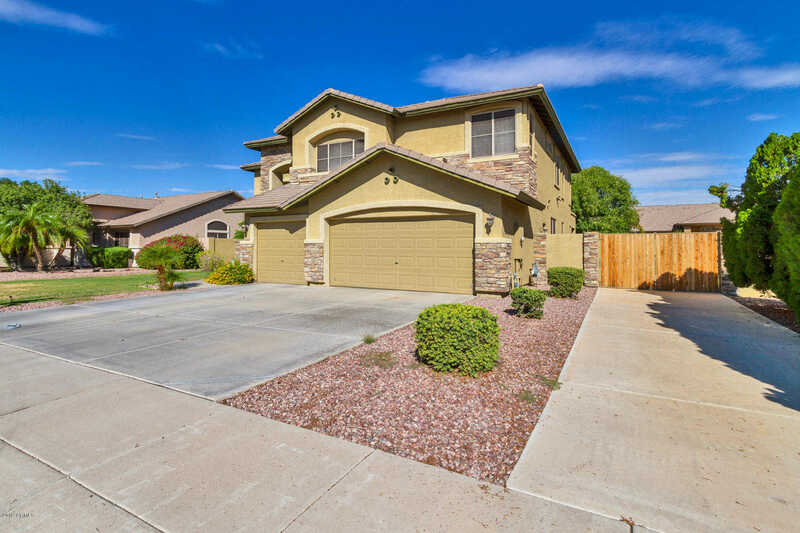 I would like to schedule a showing appointment for this property: MLS# 5889025 – $392,000 – 7026 W Campo Bello Drive, Glendale, AZ 85308.